Retired U.S. Navy Admiral Craig E. Steidle. WASHINGTON — Retired U.S. Navy Adm. Craig Steidle is taking the helm of the Commercial Spaceflight Federation (CSF), becoming the 5-year-old organization’s first full-time president, effective May 15. An announcement is planned for April 13 at the National Space Symposium in Colorado Springs, Colo. 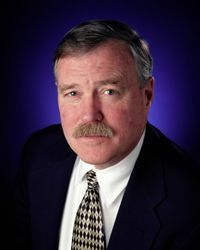 The former director of the Pentagon’s Joint Strike Fighter program joined NASA in 2004 as the first associate administrator of the then-newly created Exploration Systems Mission Directorate. Steidle will succeed Brett Alexander, who has served as the Washington-based private spaceflight advocacy organization’s president since its 2006 founding.